At Pure Beauty, we proudly use JAN MARINI Glycolic Skincare System to perform our treatment peels. The term “Peel” can be heard in magazines, television and social media, but what does it actually mean? A peel is a safe, non invasive route to improving skin condition and without the skins need to settle. At Pure Beauty we use an alpha hydroxy acid known as Glycolic which is derived from sugar cane and has the smallest molecular structure meaning it can penetrate deep into the skin making it much more effective than any other acid. The peel significantly reduces the appearance of fine and wrinkles by stimulating collagen. Not only does this have amazing anti-ageing effects but increases turnover of cells to diminish scarring and pigmentation. It’s glue like texture loosens the dead surface cells to reveal an overall brighter, hydrated and clearer looking skin. Our peels have no down time which means that redness will be minimal and normal activities can resume as normal. JAN MARINI was founded in 1994 in San Jose, California. Not only an innovator in its skincare management system, but a recognised leader in skin research and technological advances. We use their system for its safe peel method that has a great range of home care products to optimise our clients skin health and achieve the results they demand. How do I book in for a JAN MARINI Peel with a Pure Beauty Therapist? Before any treatment has been carried out, our dedicated therapists ensure a consultation has been completed with our client to provide the very treatment plan. Usually consultations run for 15 – 20 minutes and are complementary with us at Pure Beauty. We will ask questions regarding health and skincare to make sure it is safe to carry out treatment on that individual. If diagnosed with a medical condition, a doctor must be consulted before undergoing the procedure and present a written consent to be stored within our system. How long will it take and will it hurt? On the application of the Glycolic acid, you may experience warmth or tingling sensation on the skin which will disappear within the first minute. Some reddening maybe occur but usually goes down over the next 24 hours. The amount of time the peel is left on the skin is down to the therapist and they will follow with the appropriate products. 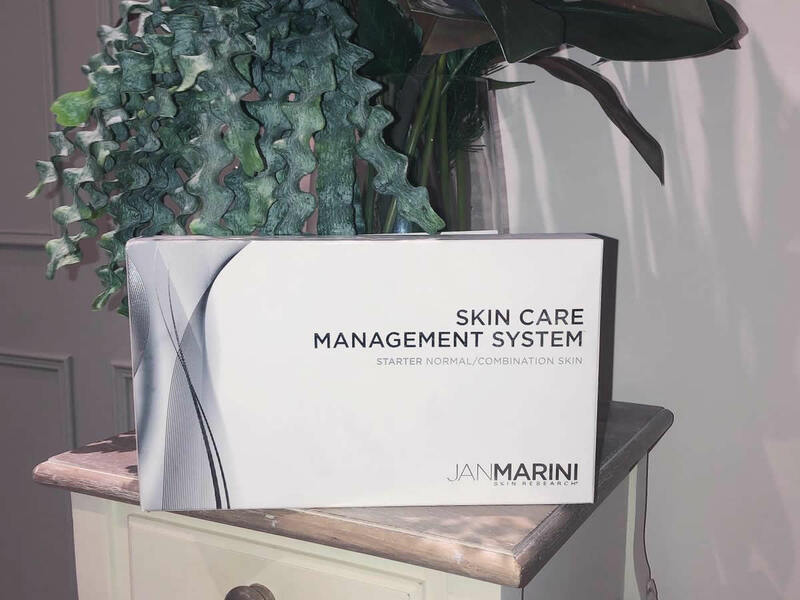 What is the JAN MARINI Glycolic Skincare Management System? Once we have carried out a consultation and both client and therapist are happy to proceed, we will supply the client with a JAN MARINI skincare management system. This fantastic kit is key to preparing the skin prior to our peel treatment as it will introduce the skin to Glycolic at a lower percentage than the peel. Kits are FREE with a course of six of our treatments and contain 5 products including our Bio Glycolic Face Cleanser, C-ESTA Face Serum, Face Lotion, Transformation Face Cream and Antioxidant Daily Face Protectant. Use for a minimum of 3 – 4 weeks prior to your first peel treatment for best results. What should be avoided after a Glycolic Peel? You should NOT use sunbeds or sunbathe for 2 weeks following any glycolic peel treatment. The skin may have slight redness or warmth which the normal after a peel procedure and will calm within the next 24 hours. Your therapist will provide you with a personal aftercare plan including product recommendations. We can’t wait to see you on your journey to great skin!